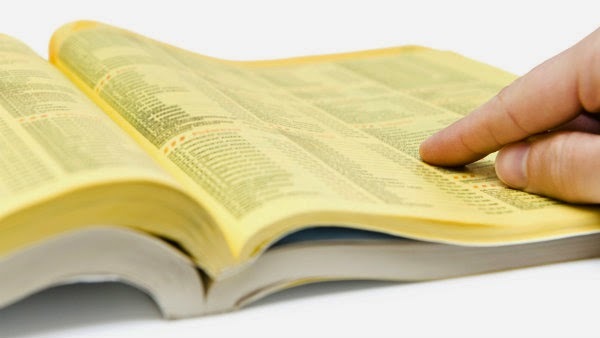 What’s one thing you'll never see your grandkids or kids use...a phone book! · Yellowpages.com - just like the paper-based version, but better! You can quickly search for businesses or people with a click of a button. The listings also include maps, directions and even consumer reviews of businesses. · Google Local is another great way to find contact information, maps, directions or reviews. Search tip: You can also get local information from the Google search page by including your zip code after your search term (i.e. Restaurants 90403). The service is called Google SMS. SMS stands for Short Message Service which is just another name for Text Message. The service is simple - you send your query in a text message to Google and then you immediately get a text message back from Google with the answer. · Send your text message to 466453 (GOOGLE). · To get a business listing, enter the business name or category you want to find and include the city and state or zip code (i.e. “Grocery Chicago, IL” or “Taxi Cab 19333”). Try to be as specific as possible with your search. For example, you probably don't want to type something as generic as, "Pizza, New York" because you'd end up getting a lot of listings and potentially tons of text messages. Fear not! If you accidentally search something too broad, simply text back the word "Stop" and the search will cease. More Info: Click here to find out more about Google SMS, including an interactive demo. You can also learn about the other types of queries that you can do like weather, movie times, stock quotes, flight status, and more. Tip: I suggest adding Google to your contacts list in your phone and 466453 as Google's phone number. So say goodbye to your bulky yellow phone books and hello to endless information at your fingertips (and an extra drawer in your kitchen). Give these alternatives a try and let me know how they go! You may be opting for that free kitchen space after all.